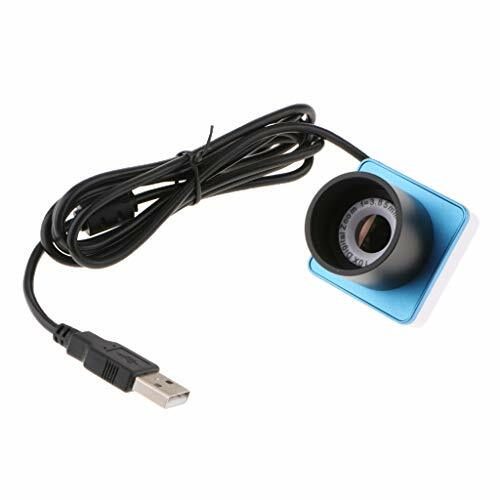 - Fun and useful USB eyepiece camera allows you to transmit the real-time view through your telescope to a laptop or PC, and take great digital movies and images. - Share the view of bright planets, the moon, and terrestrial targets through your telescope with friends, family, and fellow astronomy enthusiasts. - Very Versatile: Fits into any 1.25-Inch telescope focuser or 1.25-Inch step-down adapter. - Compatible with Windows XP/Vista/7/8/8.1/10 Operating Systems.It is a plug and play product for real-time data transmission to PC via USB port. Fun and useful USB eyepiece camera allows you to transmit the real-time view through your telescope to a laptop or PC, and take great digital movies and images. Very Versatile: Fits into any 1.25-Inch telescope focuser or 1.25-Inch step-down adapter. Compatible with Windows XP/Vista/7/8/8.1/10 Operating Systems.It is a plug and play product for real-time data transmission to PC via USB port.